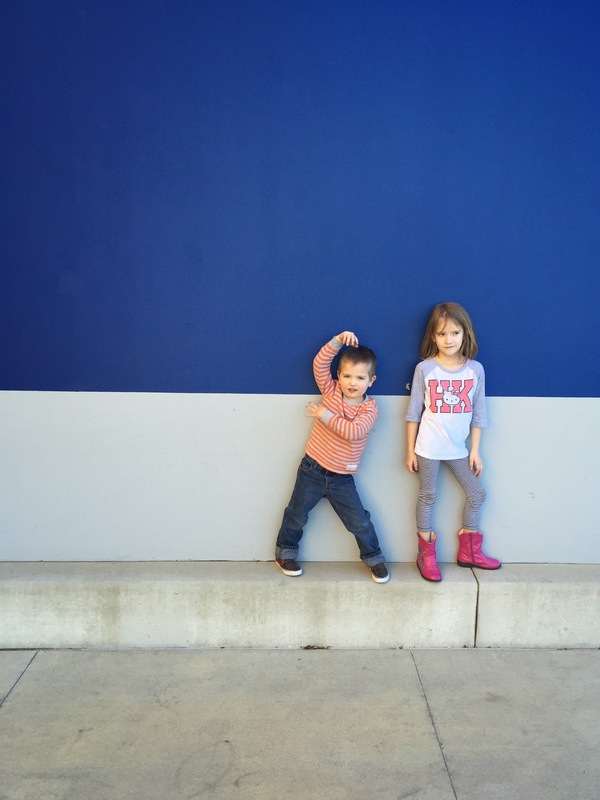 A few weeks back these two crazy cats and I took a trip to brave the maze that is Ikea. Our experience on that little Tuesday afternoon adventure was nothing short of awesome. The kids stayed with me the whole time. It is not a daily occurrence that these two let me wander about aimlessly at a ginormous warehouse-style store. 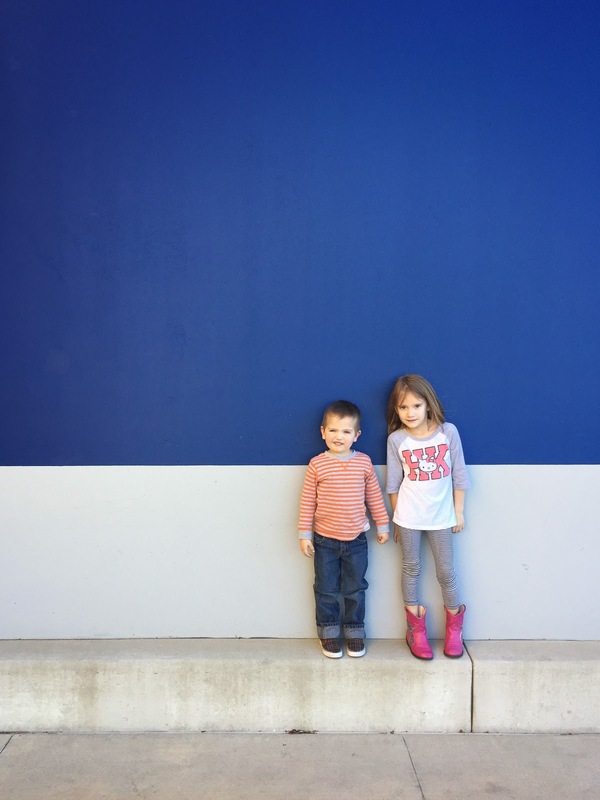 If there isn't a treat or a prize involved, shopping with them can be a tricky experience. On this particular trip they let me have more freedom than I'm accustomed to, and that freedom is still bringing a smile to my face. Before we left to come home, I snapped a few photos of them outside the store. 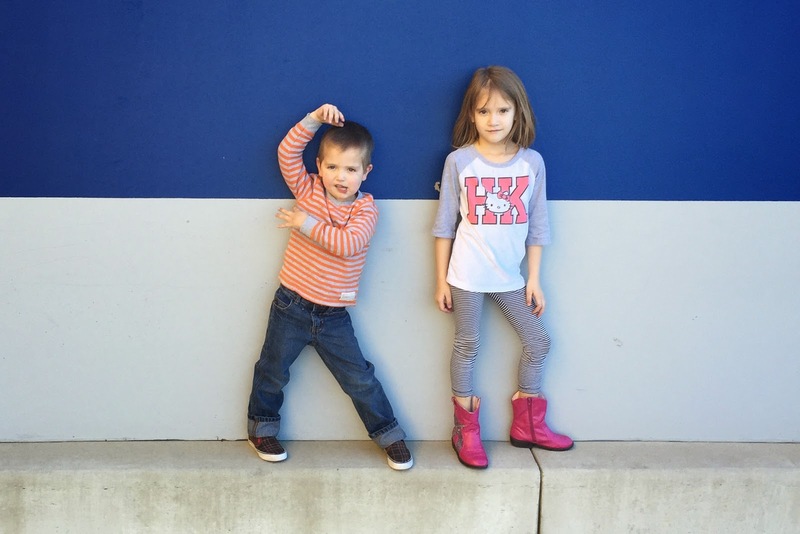 If there is one thing I love most about my children, it's their uncanny ability to strike a pose for the camera. The results are always so awesome, always hilarious, and always fun. Remember this post? Yes. Awesome. I love seeing more and more of their posing skills in action. I sure love these two.